Not sure where to start? Read our DOWNLOAD GUIDE first. Q: What is a "physical kit?" What is a "digital kit?" 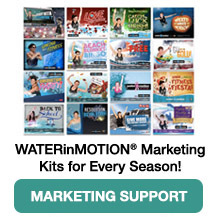 A: The WATERinMOTION® physical kit is the hard copy of the DVD and CD that gets shipped to you. The digital kits are available online. They can be viewed online, or downloaded to your computer or mobile device to watch at your convenience without an internet connection. Q: What is the difference between the digital and physical kits? A: The digital and physical kits contain exactly the same video, audio music, and choreography notes. The digital release provides the same content in a portable format that can be viewed or listened to on your computer, tablet, or smartphone. Q: What is the difference between streaming video and downloading video? A: The streaming video is viewable directly online, via the website link you were provided. All you have to do to watch is click play! This requires an internet connection every time you want to watch.If you choose to download the video, it will be saved on your computer. Once you download it, you do NOT need an internet connection to view the video. However, you will need to have a video player on your computer capable of playing the video. Q: I'm having trouble playing the video I downloaded on my computer. A: If you're double clicking the video file, instead try opening your computer's video player (every computer is different, but some examples of video players are Windows Media Player and Quicktime). Once your player is open, select "File" and "Open," and browse for the video file. It may be in your "Downloads" folder if you did not specify a folder during download. If you're not sure how to use your computer's video player, or your player still will not open the video, we highly recommend VLC (short for VideoLan Client), a simple, FREE media player that plays any type of video file. You can download it for free by clicking here. Once you have downloaded and installed VLC, open the program, select "File" and "Open," and browse for the WATERinMOTION® video. Q: The video I downloaded does not let me skip tracks like the DVD does. A: Unfortunately, this is not a feature supported by portable video files (videos that can be viewed by anyone and played on both computers and mobile devices). However, the streaming video DOES allow you to navigate between tracks. It can be viewed on any computer or mobile device with an internet connection. A: Please right-click and choose "save as," then save the file to your computer, either to your desktop, or a designated folder where you will be able to find it later. A: Since not everyone uses the same music player, we have provided the music in a universal mp3 format. If you're not sure how to import them into your favorite music player, please refer to the music player's instructions in the "Help" menu. A: If you have an internet connection, the easiest way to accomplish this is to visit the media center website (via the link you were provided by email for digital subscribers, or in your DVD case for physical subscribers). You can play the streaming video from your mobile device simply by clicking on it. If you know you will not have an internet connection, you can also download the video to your computer and transfer it to your mobile device. Since there are so many different types of mobile devices, any universal set of instructions would not be adequate for everyone's needs. Please refer to the instructions for adding video to the mobile device you have through your device's manual or website. Q: What is WATERinMOTION® Platinum? A: WATERinMOTION® Platinum is a shallow-water, low-impact aqua exercise experience that offers active aging adults and deconditioned participants a fun workout improving cardiovascular endurance, agility, balance, strength and flexibility. 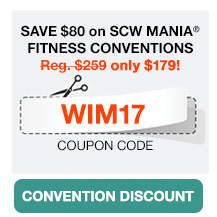 This customized exercise system provides quarterly-released music, easy-to teach and learn choreography, fantastic marketing and scientifically designed programming and education. Our WATERinMOTION® Platinum certified instructors can gently share the pure joy of exercise through this buoyant, heart-healthy program.